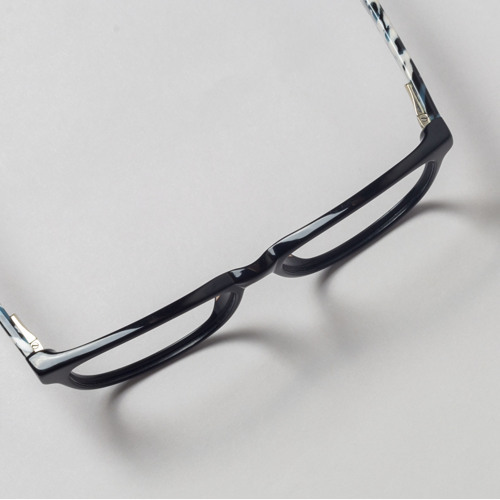 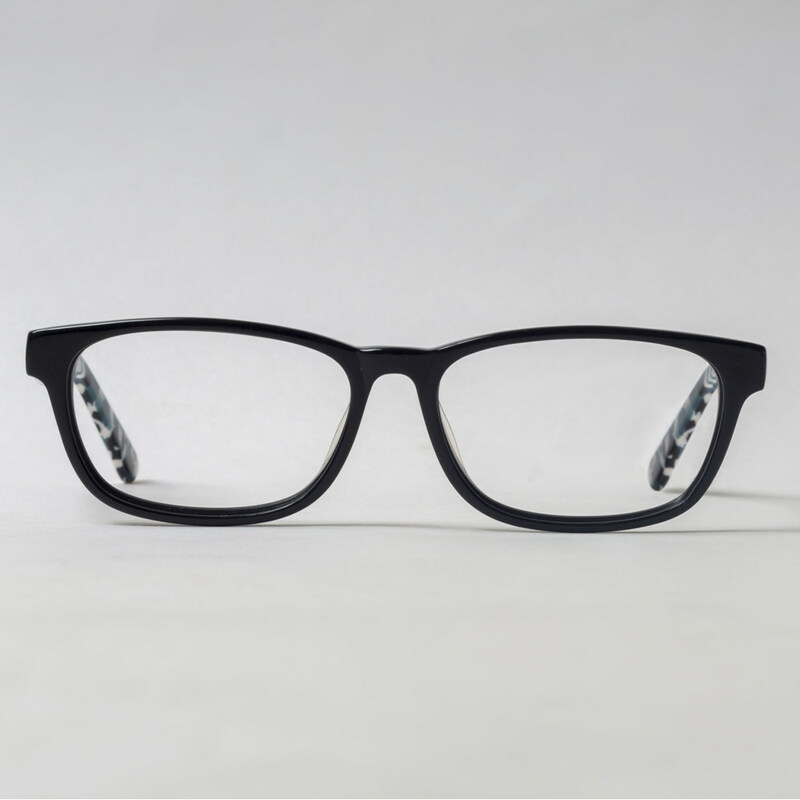 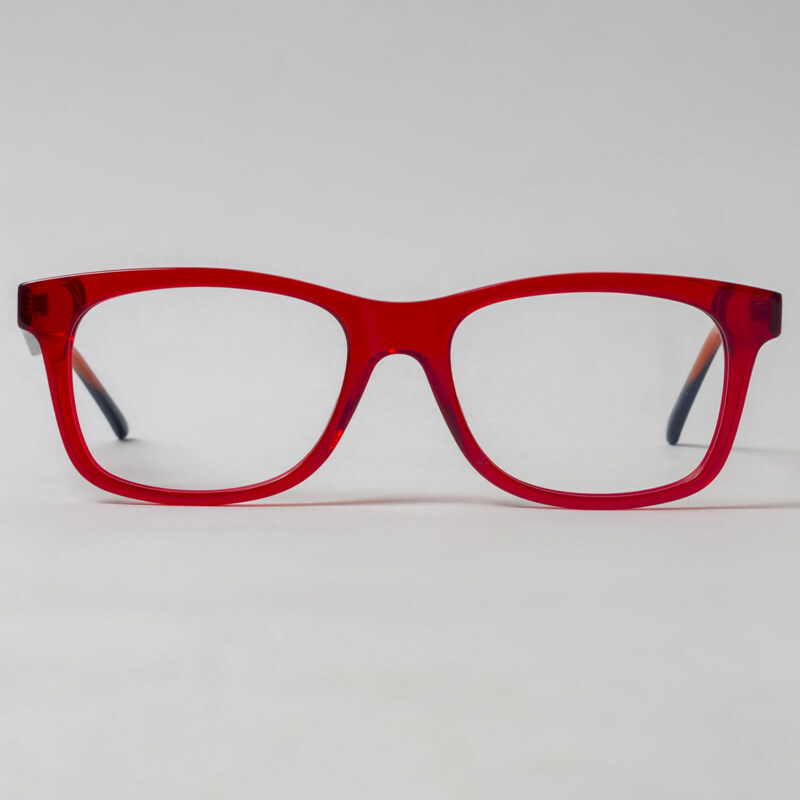 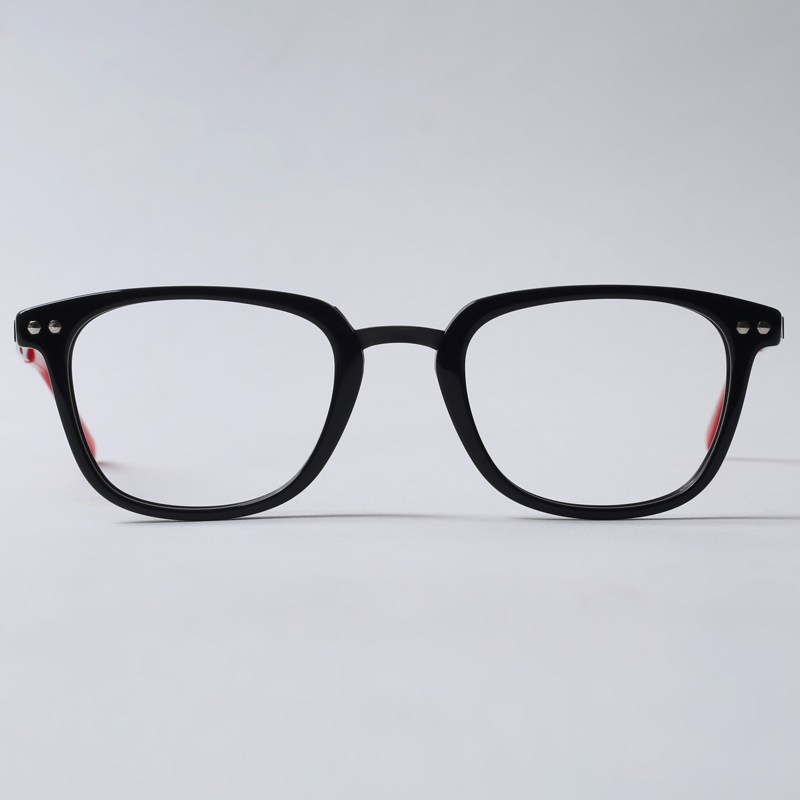 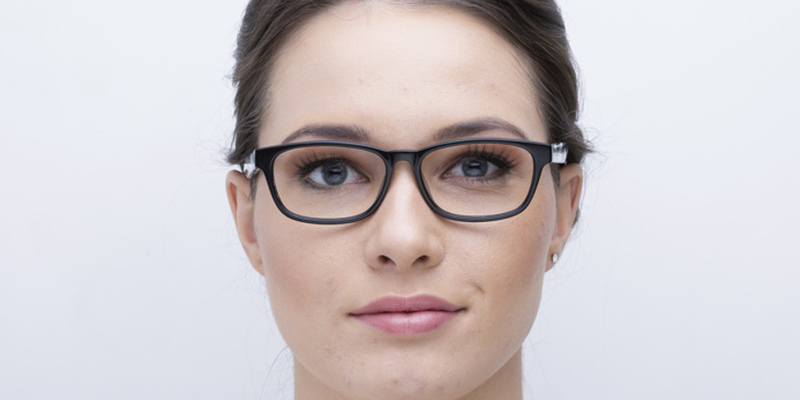 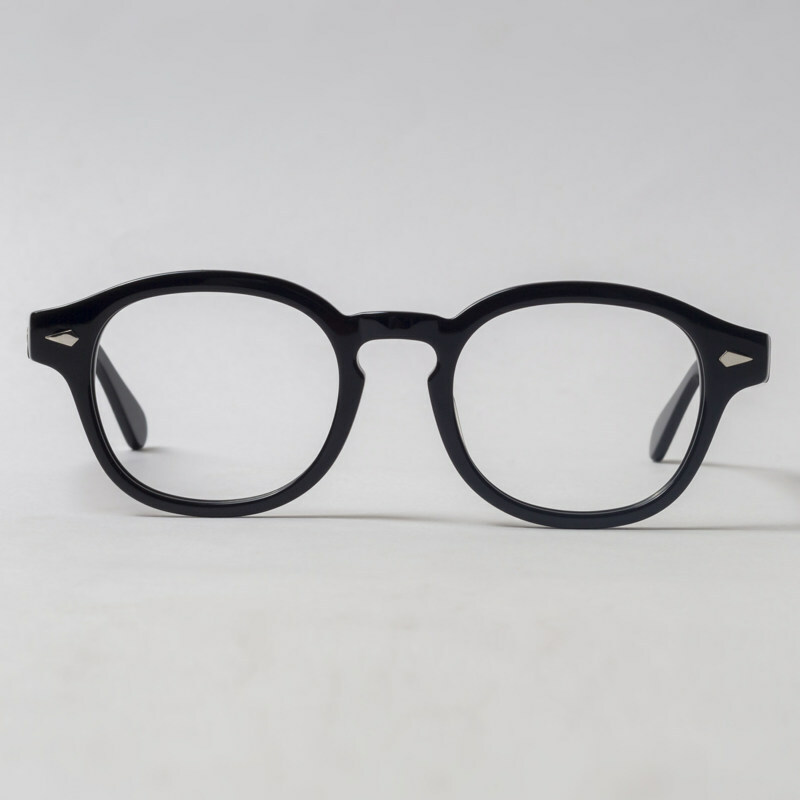 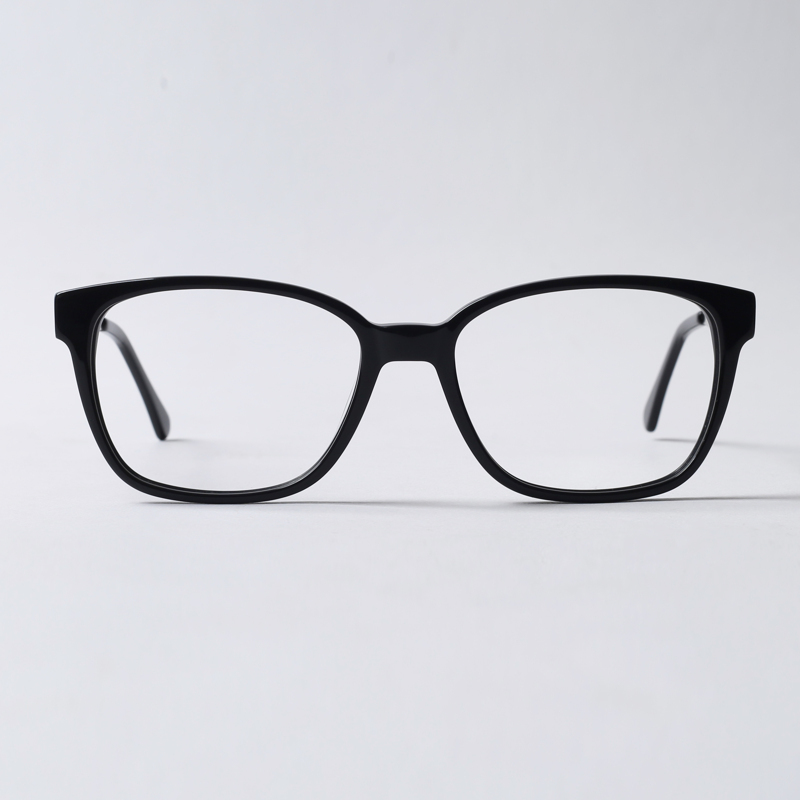 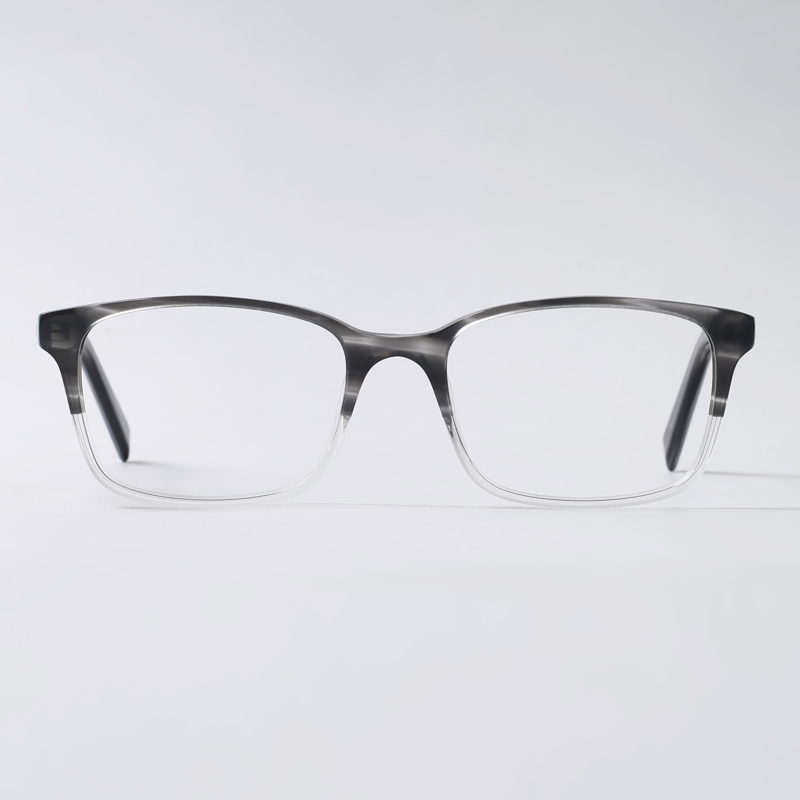 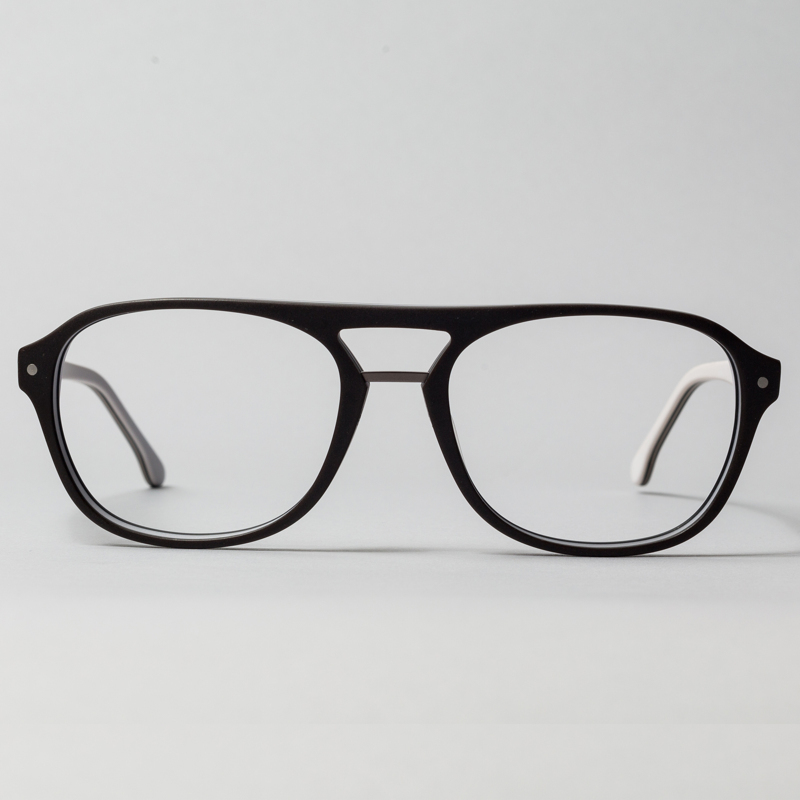 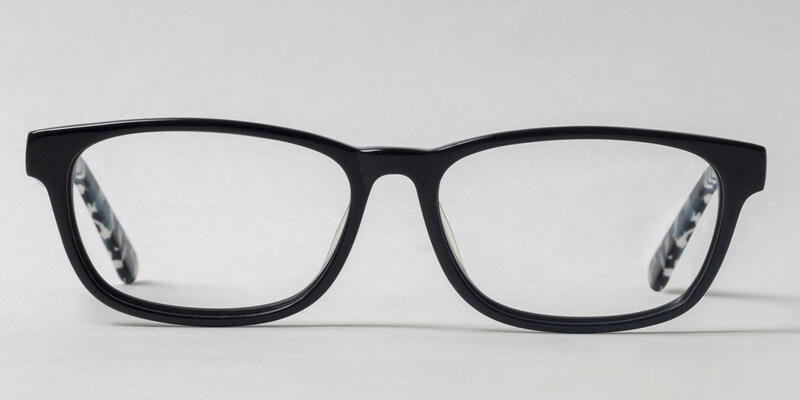 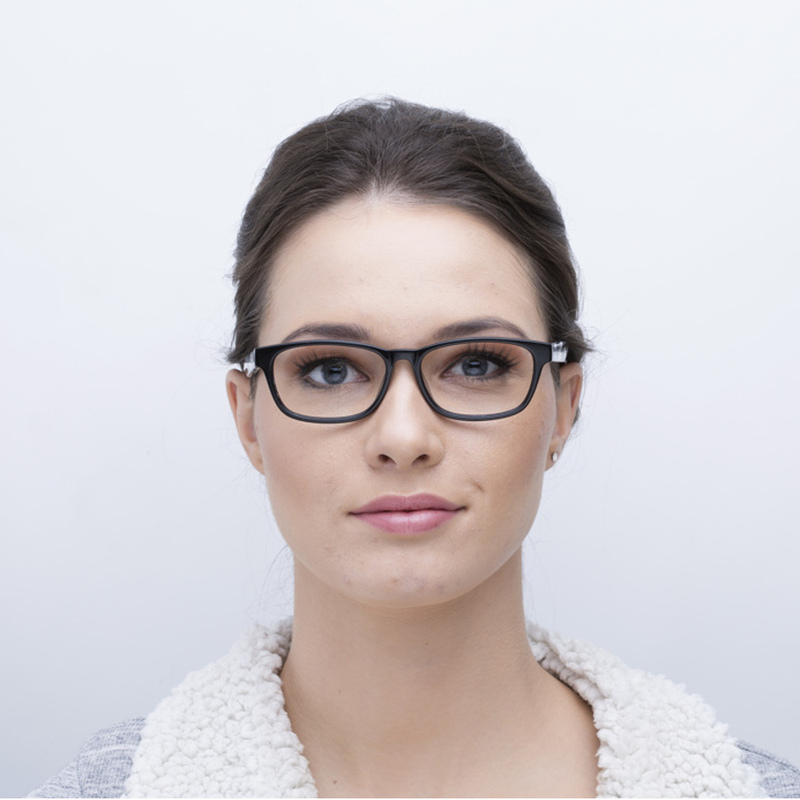 Youthful and sophisticated, these specs rock a versatile pillowed rectangular shape with subtle curves around the saddle bridge and accentuated end pieces. 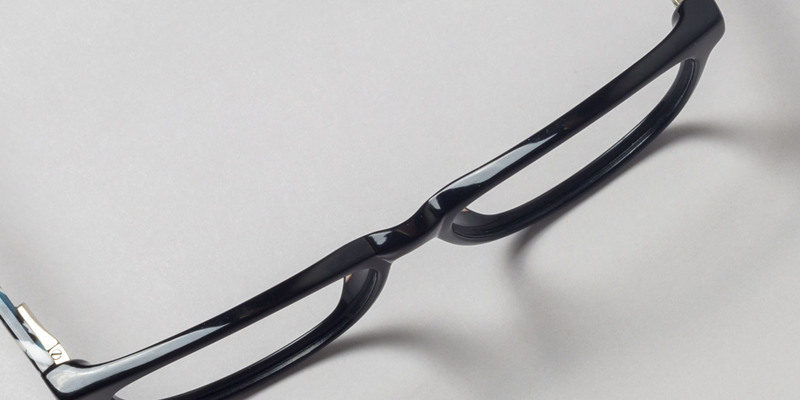 The glossy black front is lightweight and classy, contrasting with the eye-catching thick temples. 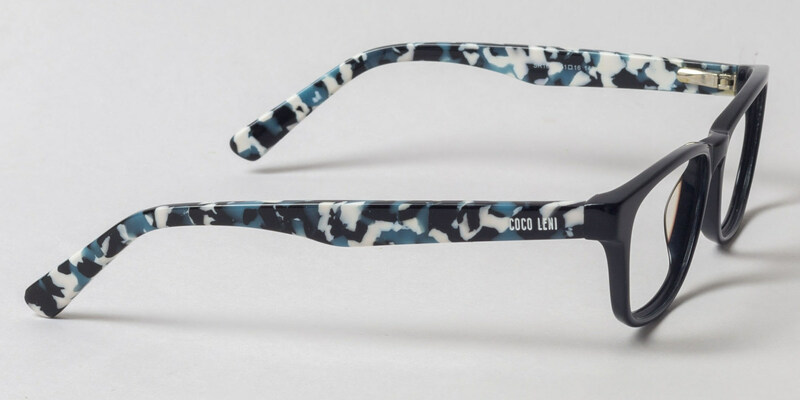 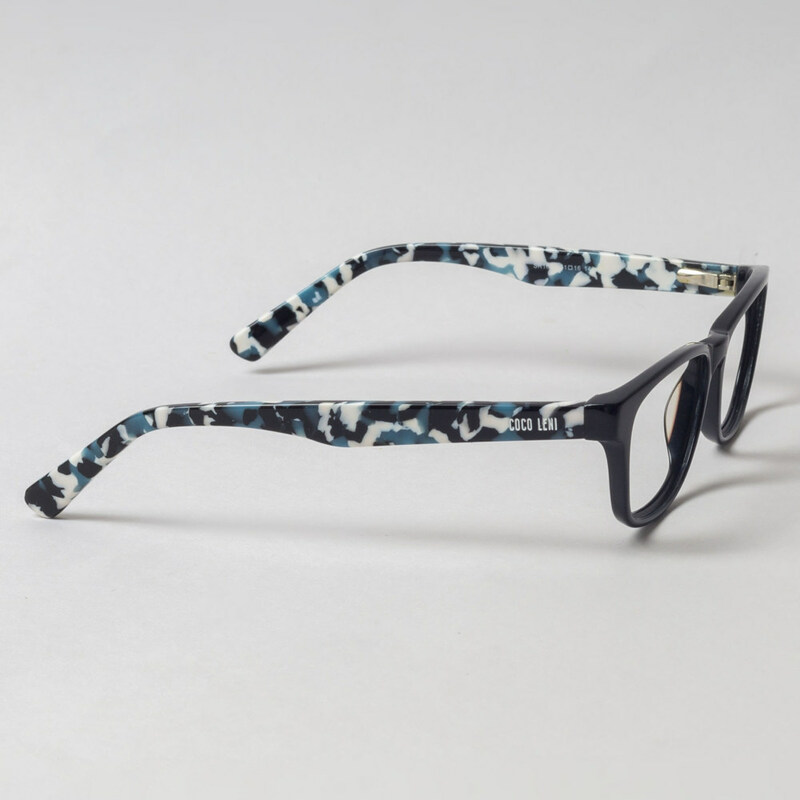 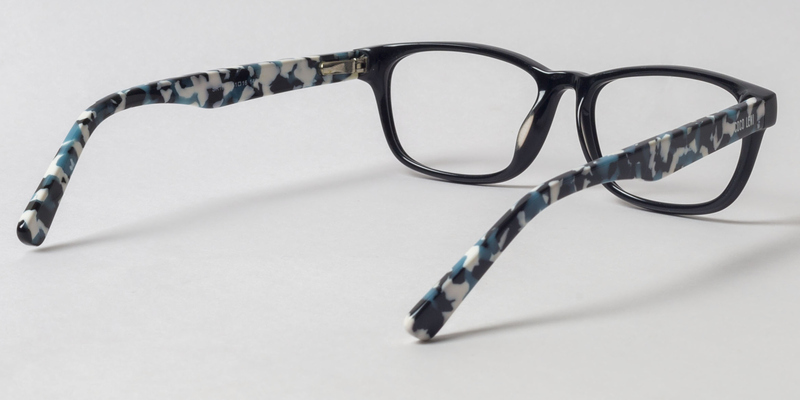 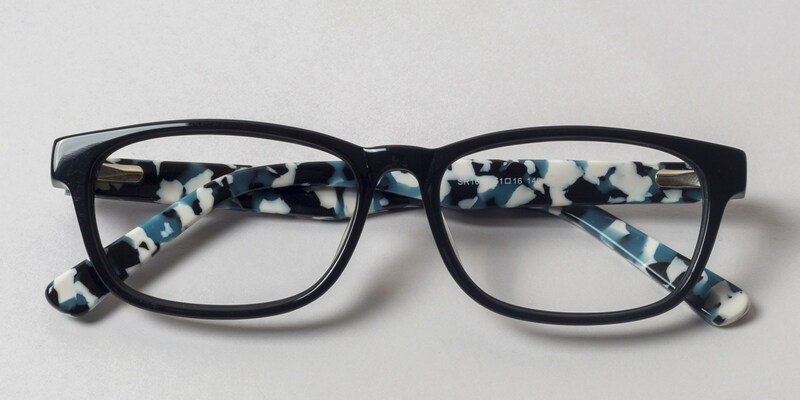 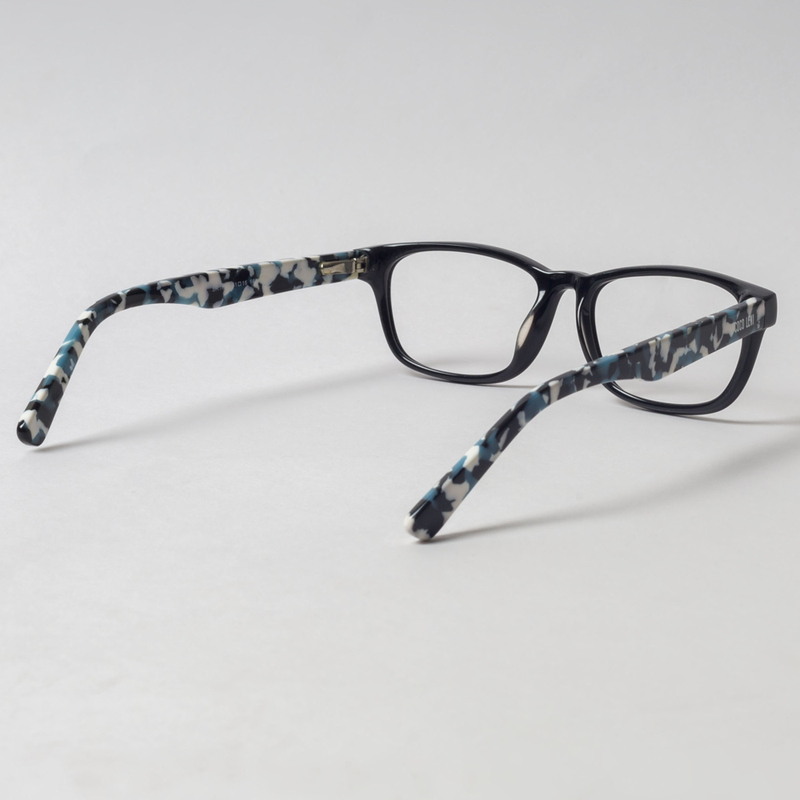 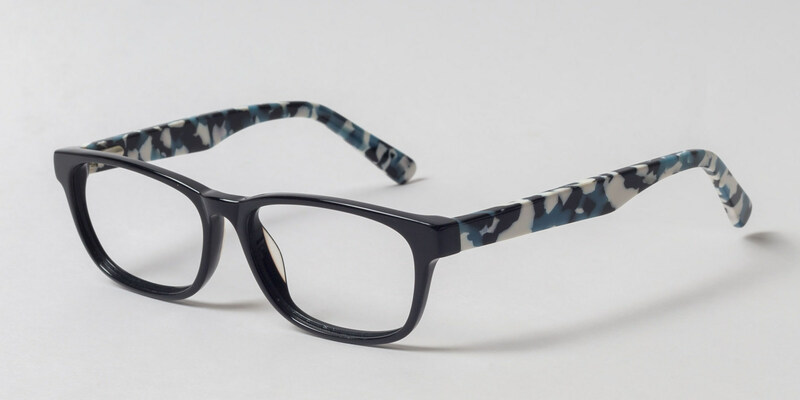 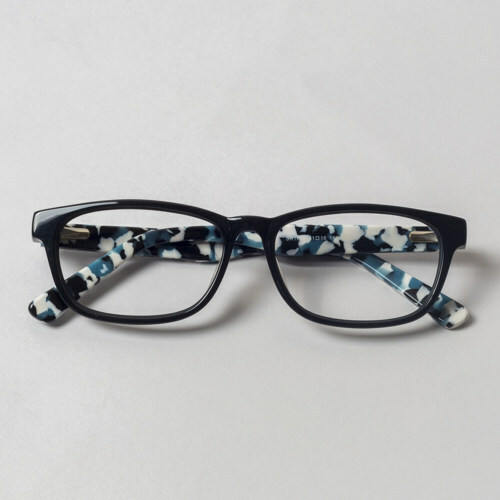 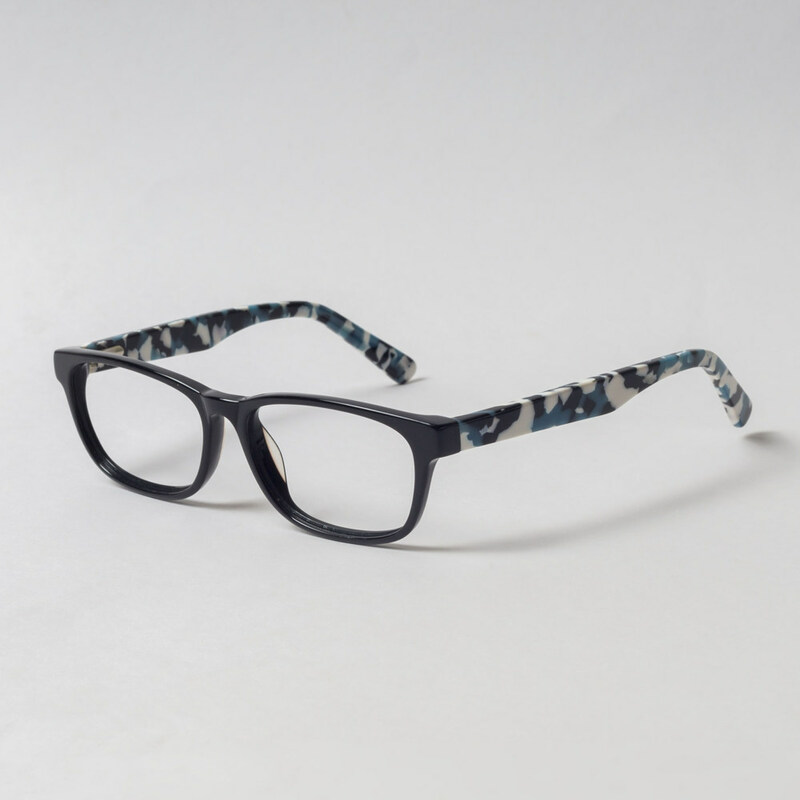 Their acetate outline is decorated with a camouflage-like pattern in an innovative mix of black, white and blue. 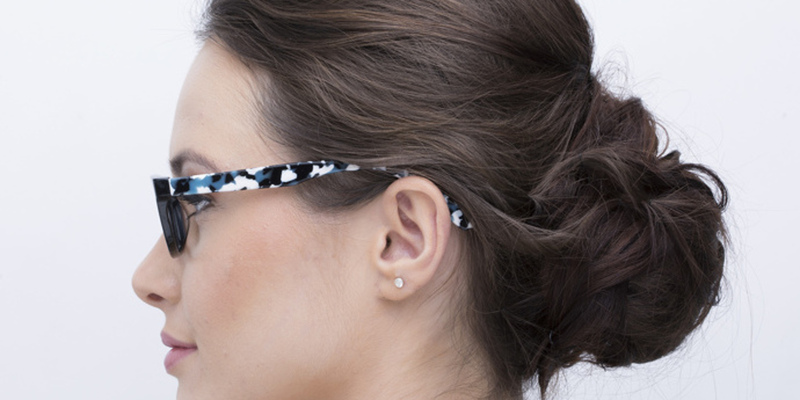 Enhance your street style with these smart, yet audacious wayfarers!